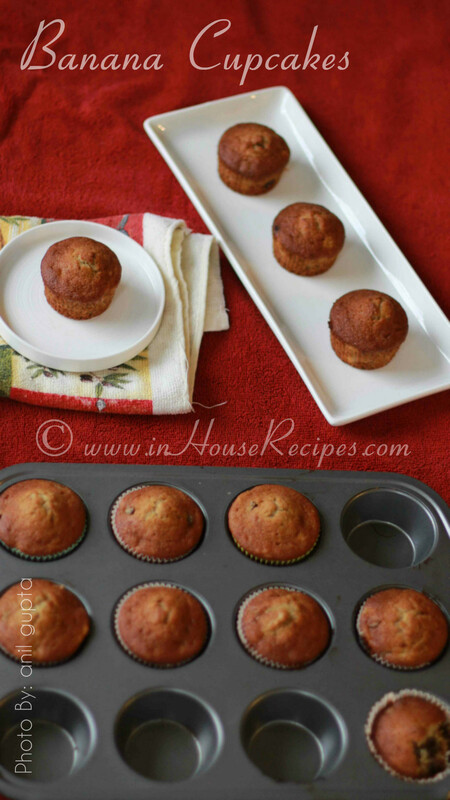 Banana cupcakes or banana Muffins can be easily baked at home within 30 minutes for a great sweet craving. We are baking these cakes using a standard oven. You can use the same recipe for baking in Microwave Oven or the Microwave with convection mode as is more popular in Indian sub-continent. You can read more about baking in Microwave convection Oven here. 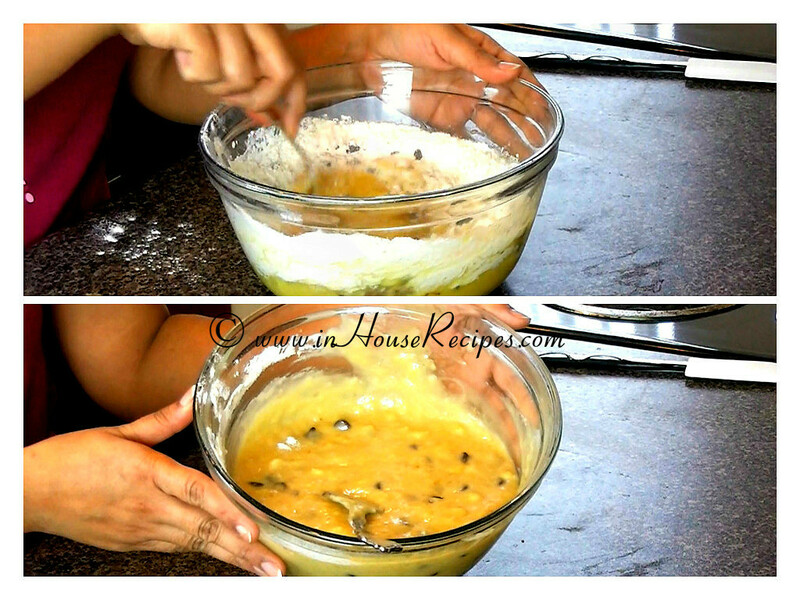 The cake batter that we prepare in this recipe can be used for making banana bread as well. The only change needed would be the change of baking tray style. 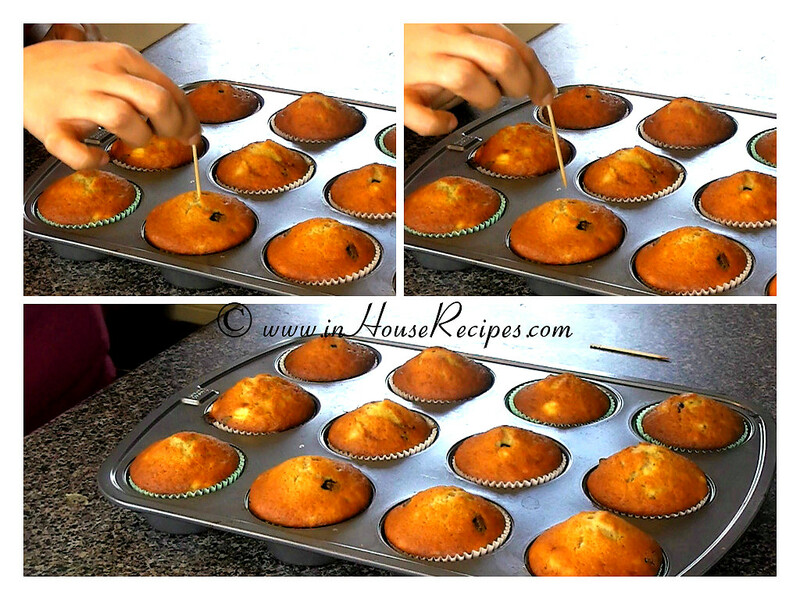 You would use a loaf pan instead of a cupcake style pan. 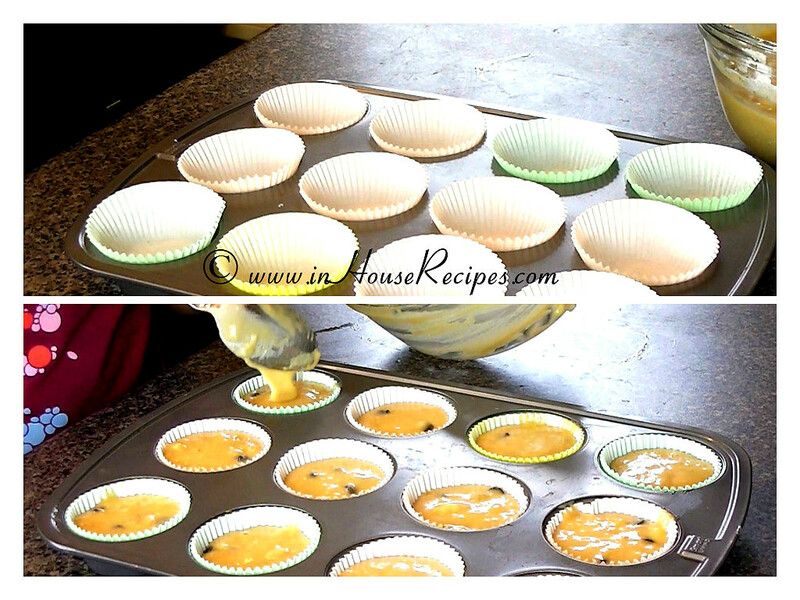 This is a tried and tested recipe in our own kitchen and we are presenting it with step by step pictures and video. Ingredients should now be ready with you. Take a bowl big enough to hold all the ingredients. 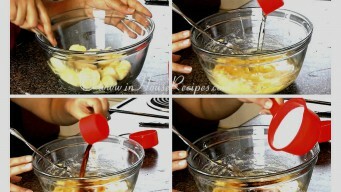 Peel banana skin, add the pulp and mash it to smooth looking paste with a fork. 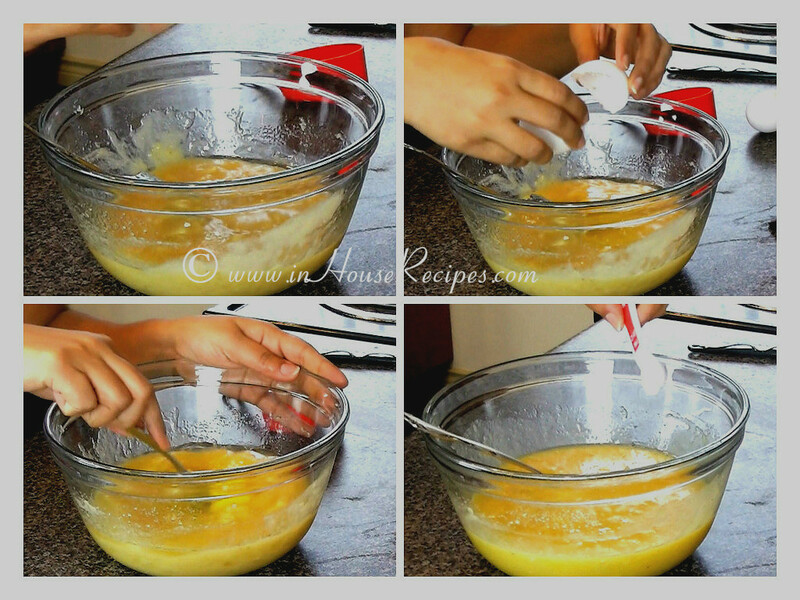 Add Oil, Vanilla Essence, Sugar, Eggs. 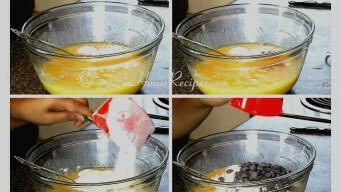 Mix the ingredients for about 2 minutes rotating your hand. 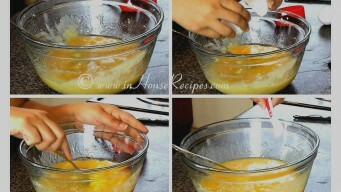 You can use the electronic beater or the manual one or simply use your hand and a fork to mix all ingredients together. 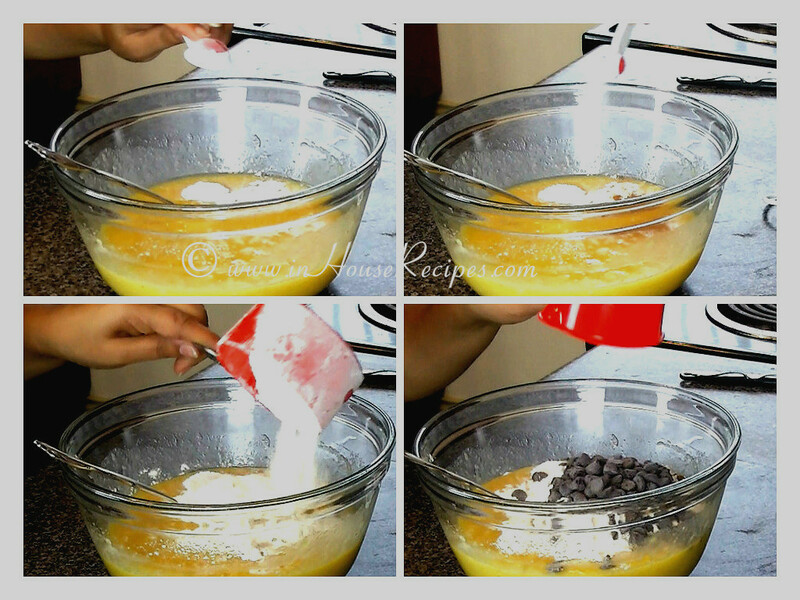 Now add all the dry ingredients like: Baking Soda, Baking Powder, Cinnamon Powder, Salt, All Purpose Flour and Chocolate Chips. 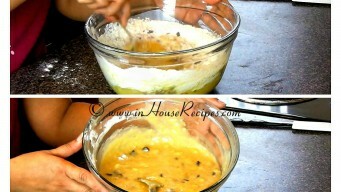 Repeat the above process of mixing well until everything combined completely. It should take about 1 more minute. 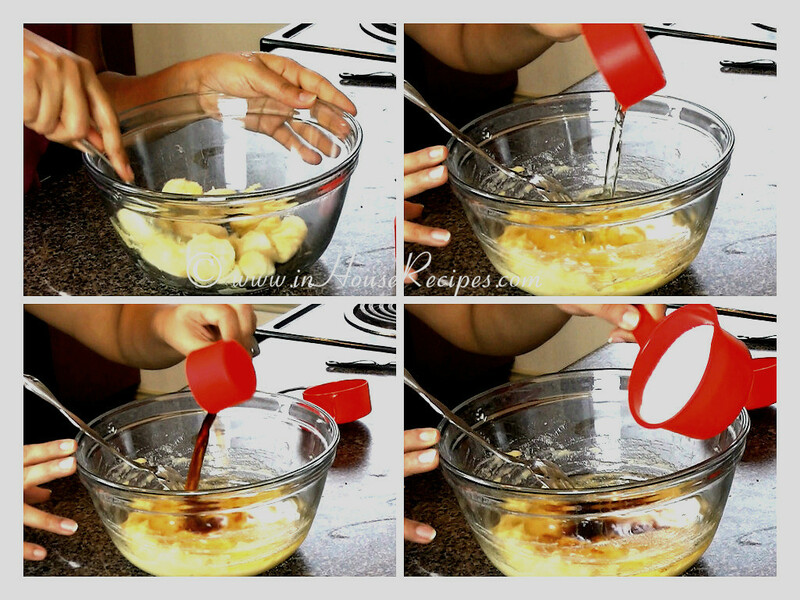 Banana Cupcake batter is ready to use. Pre-heat Oven on 400 F (200 C) for about 10 minutes. 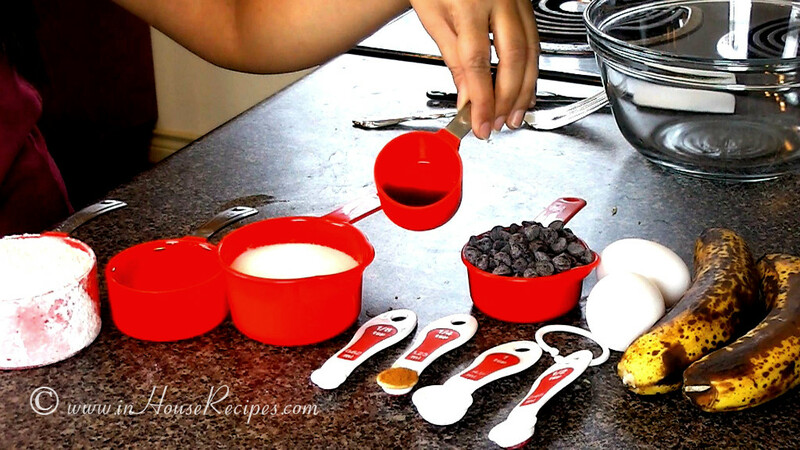 You can even use a Microwave oven and follow the same recipe. New devices have an option of just setting the temperature and then switch on the pre-heating. Once the Microwave Oven or standard oven reaches the desired temperature, it beeps to signal the completion. The time it takes to reach the level of temperature you set (here 400 F) depends on each individual device. In our case, it took about 10 minutes to reach that heat level. It may be faster in your device. The speed varies due to the size of the device too. the more space to heat, the more time it takes. 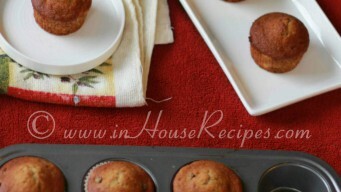 You have to use a baking tray that has small cupcake sized holes. the tray we are using has 12 cup shaped holes. 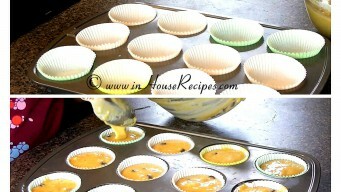 If you do not have this style of baking tray, you can use any one that you have to bake . The only difference would be the final shape of the cakes. 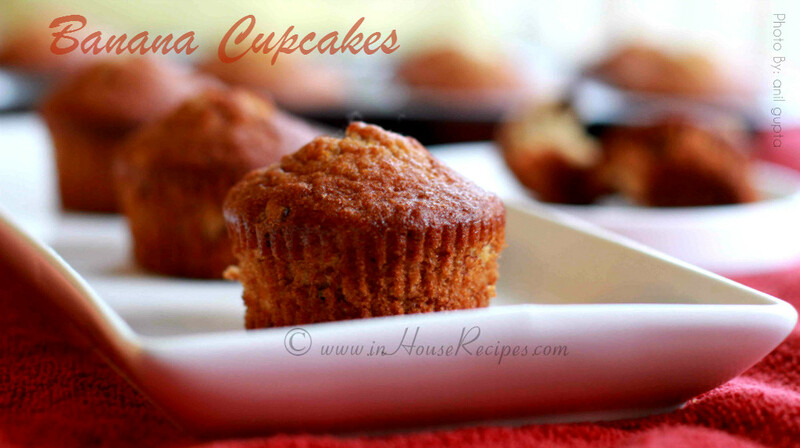 In our case, we would call them CUP cakes, and you can call them something else. We are using the paper cups to separate the baking tray walls from the cake. 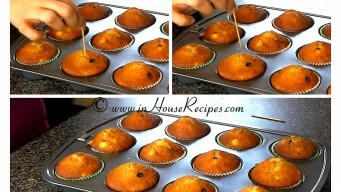 This would make sure that cakes do not stick to the tray while taking out. If you do not have paper cups, you can simply grease the tray walls with butter. That would also work. 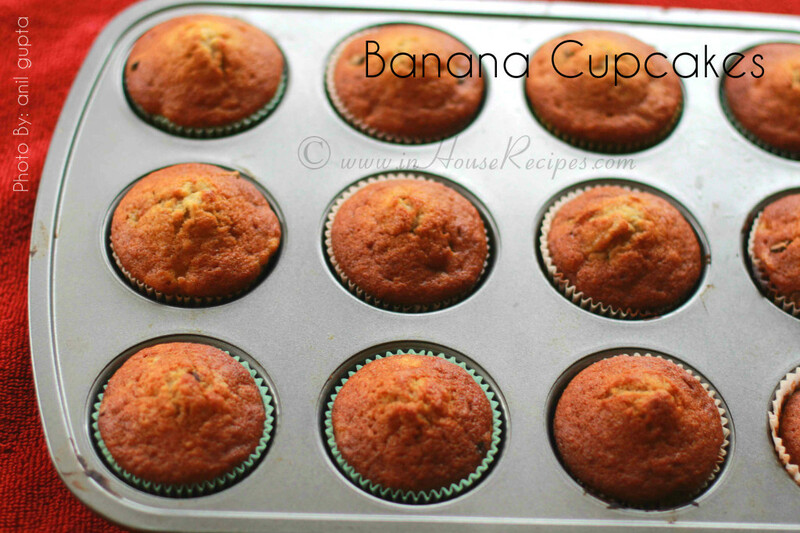 Pour the Banana cupcake batter in each of the paper cup. Fill it upto 75% level only. Rest 25% of space would be taken over by the cake while it bakes and fluffes. Keep the baking tray in the oven for about 20 minutes and bake them on 400 F.
But why? Well, each baking device has its capabilities to produce and hold the heat within it. Newer devices would be better than than the older generation. So, it is possible that the cake has not baked yet. How to check - Toothpick check? Use a tooth pick and poke it at the center of cake. If it comes out clean i.e. no greasy cake batter paste visible or felt on touching the tooth-pick, then your cake is all set. If you do see some cake paste there, this signals that the cake might still need some more time to completely bake its inner portion. Here, we recommend to bake it for another 5-10 minutes and then re-check. Keep them aside for about 5 minutes to cool down at room temperature. 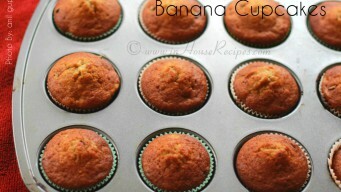 Delicious Banana Cupcakes are now ready to serve. Keep them refrigerated and consume within 15 days. Top up the cupcakes with chocolate frosting or whipped cream to make even more sweet deal. 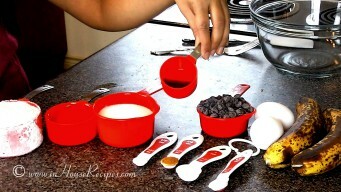 You can also sprinkle some chocolate choco chips before serving.